We are surrounded by the South West Coastal Path, one of the easiest parts to walk. So whether you enjoy walking or exploring this fantastic quiet countryside, or want to spend lazy days on the river, on a hired boat, bird watching, fishing or visiting a variety of local beaches, Worswell could be the place for you and your family. Walking the Coast Gara point to Warren…Click here for more images. Cellars – within walking distance 10 mins mildly steep, narrow path to the beach. At low tide two coves are visible one with sand and one with pebbles, many boats moor here for the night. When the tide is in, only rocks but the most fantastic swimming pool, great for kids. Situated at the mouth of the river Yealm. 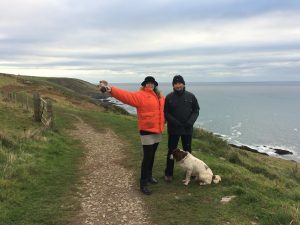 Warren – is about a 20 min walk can be quite steep walk down and back up, but oh so well worth it, with a sandy cove, rock pools for exploring, you can loss a day so easily here, and great for swimming, prawning, crabbing and Dad you can get some fishing in. Stoke beach – at bottom of a permanent static caravan park, steel stair case to beach, sandy with lots of hiding places. Wonwell beach – is on the opposite side of the Erme Estuary and often much quieter. Wembury beach – is about 12 miles away in the car even though you can see it from the coastal path, you can walk to it using the foot ferry, and it takes about 1-2 hours path of the S.W.C.P. once at Wembury you have the Marine centre which often organises rock pool events for the kids in the summer, a lovely café with homemade cakes, and toilets, and a car park. Other beaches such as, Bantham, Bigbury-on-sea, and Blackpool sands are all very much worth the visit between 20-30 mins’ drive. 12 miles of footpaths – plenty of variety walking through woodland or on the coast. Co-op, Post Office/general store, Chemist, Estate Agents, Community Café in the Post Office, Butcher. 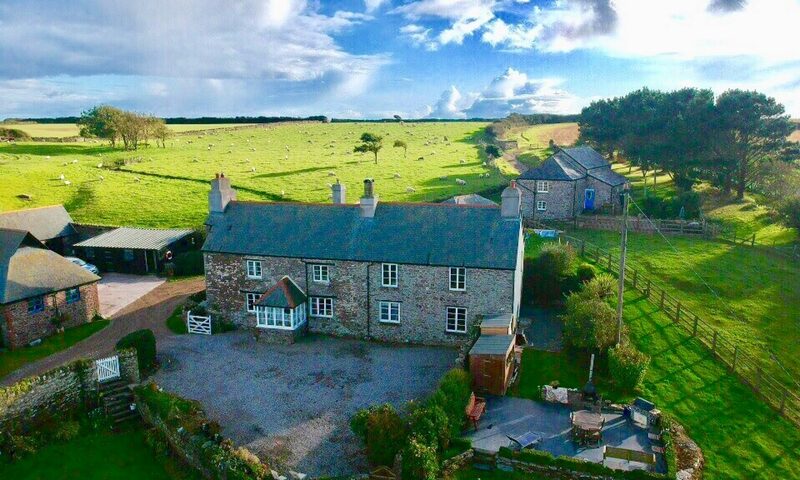 Other Villages nearby, Yealmpton, Brixton, Modbury and Ermington, the historic city of Plymouth is about 12miles away, and a few miles more will bring you to the scenic glories of Dartmoor National Park. Newton Downs Horse riding School nearby.